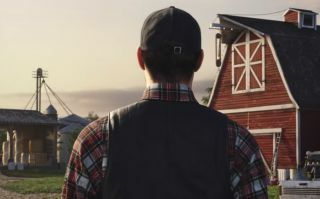 Giants Software has dropped a new teaser trailer demonstrating the "new field interactions" coming to its upcoming farming sim, Farming Simulator 19. The video shows off the new features available for crops, including liming, weeding, and herbiciding (I think I just made that word up), as well as footage of how your vehicular wheels can destroy your crops in real-time... although given not all vehicles seem to do this in the teaser, it would appear the feature is optional. That's not all, though. In a dev blog published earlier this week, the studio confirmed what happens if you let newly formed weeds take hold of your crops. "If you don’t tackle your weed problem before your crops are ready for harvest, the field’s final yield will be reduced by 20% - laziness is expensive!" said community manager, Listertan. "We expect that weeds will provide an extra wrinkle especially for players tackling the game in the new Start From Scratch mode." Oh, and after some eagle-eyed fans spotted the all-new milk icon, it's now confirmed that you'll be able to sell milk, too, as well as two new crops: oats and cotton. Farming Simulator 19 releases for PC, Mac, and consoles on November 20 2018. Farming Simulator 17's Platinum Edition added pigs, and Joe was delighted to find out they're coming to Farming Simulator 19, too.